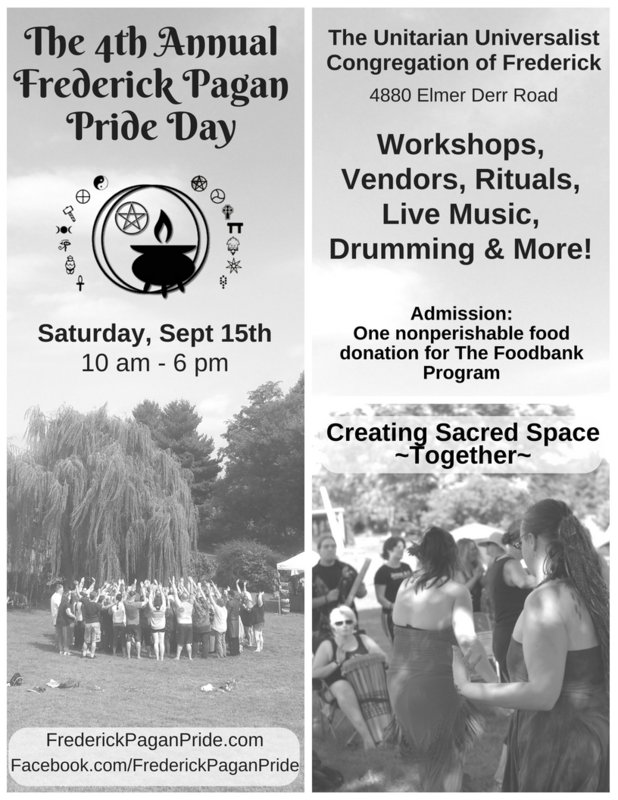 Frederick Pagan Pride Day 2019 Vendor, Workshop, Entertainment and Ritual forms are UP!! The Fifth Annual Frederick Pagan Pride Day will be Saturday, September 14th, 2019. We are currently accepting applications for the event. If you are interested in participating as part of FPPD, please click on the link below that applies to you. Whew!! What a day! Before I get into the MASSIVE list of thank-yous, a quick request – if you have photos from the 4th Annual Frederick, MD, Pagan Pride Day, and would not mind us adding them to our photo album (with credit, of course! ), please message this account or send them to frederickpaganpride(at)gmail(dot)com. Every year after FPPD, I find myself utterly overwhelmed with gratitude. On my way home from the festival yesterday, I almost started crying behind the wheel because of the sheer scale of gratitude welling within my heart. We raised 823.11 pounds of food for the Frederick Food Bank. We have a huge pile of donations for the Adoption Center at Frederick County Animal Control. And over 550 people came through the doors yesterday. As I said during Kindred Crow’s set, remember – you are NOT alone. When you are feeling overwhelmed, or isolated, or like a single fiber of strangeness and magick in the tapestry of our greater culture, remember the festival. There are a LOT of us. And we are amazing. Thank you for coming out to celebrate your Pagan Pride with us yesterday! A festival isn’t much fun to create without guests. Thank you for sharing your Paths/Traditions, your laughter, your time and your energy with us! It was an honor to host you. I have a few folks I would like to honor. First, my co-coordinators – Top Hat Jeff, my on-site lead, and Kim, my schedule lead and site vendor liaison. Without these two wonderful humans, I would be a frazzled mess. Also, my beloved Chris, who along with running sound and having the same day-of hours I do, puts up with all my pre-FPPD insanity with his usual kindness and warmth. Michelle, who runs sound with Chris AND chases me around, makes sure I’ve eaten, and is otherwise my better angel at large Frederick CUUPS events. Charles, who was incredibly helpful in resolving some parking issues this year along with all his other duties. Ashley and Andrea, the delightful (and sometimes naughty) faeries who run Children’s Programming. Third, the incredible crew of FPPD. We number around 30, all told. And this hard-working, cooperative, kind, funny, creative crew absolutely blew me away this year. They worked their butts off – we have meetings in advance of the festival, email chains, a Friday night setup and a day that starts at 8 a.m. the day of the festival and does not generally end until 8 p.m. that night. I am honored to call these wonderful folks my friends and teammates. I am grateful to all the people who were NOT on the volunteer team who still stepped in to help with running (and especially cleaning up after) the festival – Josey & Company, the ShadowGrove community, Suzanne, Rath and many others who I apologize for not naming here (I’m exhausted – forgive my shaky memory). I would also like to extend deep gratitude to Tamara and Niall, who stepped up at the last minute to lead workshops! Which leads me to all the presenters, performers and ritual leaders who brought their wisdom, talents and connection to our festival. To Julia and Scarlet of Private Story, to the rest of the crows in Kindred Crow, to the stunning, talented performers of Luna Aerial Dance & Performing Arts, and to Anam Cara Belly Dance – thank you!! To Rath, Suz, Niall, Monika Healing Coyote Shamanism, Cat of the Universal Temple of Spirits, Rachel, Scott, Tamara, and Elk Ridge Kindred, thank you!! Thank you to our amazing Vendors! We pride ourselves on offering the best Pagan shopping in the region, and you all really pulled out the stops this year. Thank you for your flexibility around the weather and dealing with a shifting logistical plan as the hurricane drew near the east coast. Thank you to the groups who brought their Traditions, Paths, Covens and other organizations to share with us! THANK YOU to our event sponsors, Remedy Columbia (Columbia, Maryland Medical Cannabis… and Four Quarters Farm. And last but not least, thank you to the wonderful community and staff of the Unitarian Universalist Congregation of Frederick. Thank you for sharing your home with us. As ever, I am so honored, so grateful, so utterly overwhelmed to somehow have the pleasure of overseeing and organizing our annual gathering. Thank you for everything, my friends. Let there be peace between us. Frederick, MD, Pagan Pride Day is very fortunate in terms of our location. 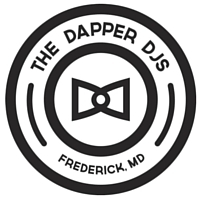 In the event of heavy rain, we will move the entire festival inside the Unitarian Universalist Congregation of Frederick (4880 Elmer Derr Road – same location as the festival, just inside the building). We will make a final call on whether we will be indoors or outdoors on Friday morning and will post about it on all our media – this website, our Facebook page, the Frederick CUUPS Facebook page, and the Facebook event. The first graphic below is the outdoor plan. The image below it is the indoor plan. Admission to The 4th Annual Frederick Pagan Pride Day is a donation to one of two charities we are supporting this year. You are welcome to bring an item of non-perishable commercially prepared food (no home canned goods, unfortunately) for The Foodbank Program operated by the Frederick Community Action Agency. This year, Frederick Pagan Pride Day is also supporting the Adoption Center at Frederick County Animal Control, Maryland. FCAC is requesting canned food of any variety, dry food (Iams is preferred, but they will take any sort), bleach, sponges and Dawn dish soap. Frederick CUUPS has the great honor of hosting and managing the region’s annual Pagan Pride Gathering. This will be our fourth year! Last year, slightly over 500 people attended. The festival is a ton of fun – it’s a full day of workshops, rituals, vendors, music and merriment. But, like all really wonderful events, it takes a village to run it smoothly. We are looking for volunteers to help with this year’s event. There are two windows of time in which we volunteer: there’s a setup the evening before (Friday, September 14th) to put up the pavilions, mark out vendor spaces, place tables, etc. The day of Frederick Pagan Pride Day (Saturday, September 15th), we have shifts starting at 8 am and ending at 8 pm. We will need the most help from 8 to 10 am (loading vendors in and getting set up) and 6 to 8 pm (loading vendors out and breaking down all the festival infrastructure). During the day, we have shifts at the Welcome Booth, General Site (roaming security), Parking Guides and Event Field (helping with workshops, rituals, etc). Shifts vary in time from half an hour to up to two hours depending on the role being filled. If you would like to volunteer, email frederickpaganpride(at)gmail(dot)com. After the incredible generosity and kindness of everyone who attended the 2017 Frederick Pagan Pride Day, the staff thought we would expand the web to reach more beings in need – specifically the four-legged kind. This year, admission to Frederick Pagan Pride Day is a donation to one of two organizations we are supporting. You are welcome to bring an item of non-perishable commercially prepared food (no home canned goods, unfortunately) for The Foodbank Program operated by the Frederick Community Action Agency. This year, Frederick Pagan Pride Day is also supporting the Adoption Center at Frederick County Animal Control. FCAC is requesting canned food of any variety, dry food (Iams is preferred, but they will take any sort), bleach, sponges and Dawn dish soap. Frederick Pagan Pride Day is Coming Up! 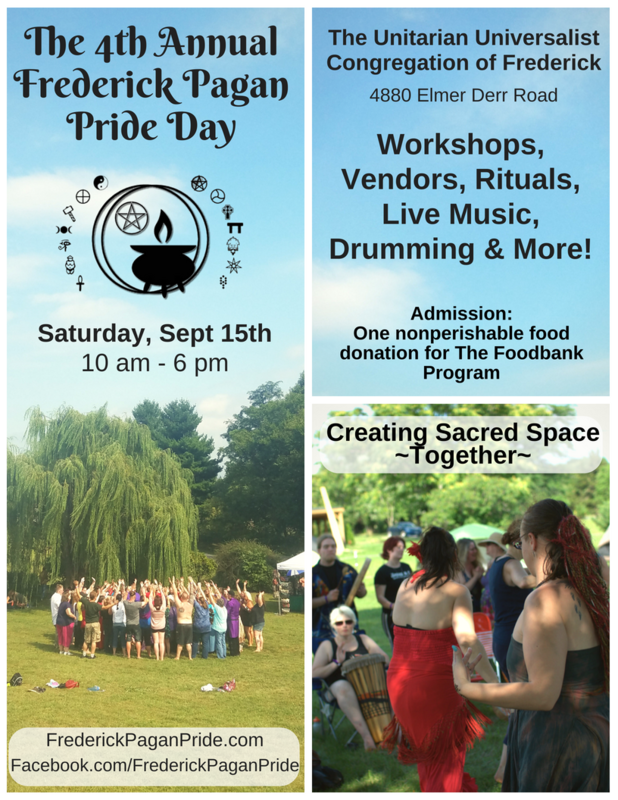 Want to help promote Frederick Pagan Pride Day? Here are some printable flyers for the festival! 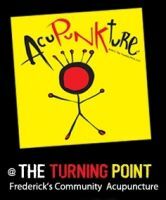 Click on the flyer you would like to print to download the image at full size.